Those of you who have been following my blog since nearly the beginning know that once I found Memebox I became immediately hooked on Asian beauty products. The routine and the products have become so much more for me than skincare over the past year and half - through my battle with depression and anxiety I've found that I can calm myself and bring myself back to a "safe place" by sitting down and playing around with my skincare products. Asian beauty has become a "calm" for me, and at this point in my life I'd be lost without this little luxury. Recently I've noticed that a large area of my Asian beauty skincare collection consists of cleanser - it started because I couldn't find one I liked, then it continued because I found several ones I liked that did different things. Today, we're reviewing one that I love - for more than one reason! Purpose: With a balanced pH of 5.5, this cleanser works to remove makeup, sunscreen, and the grime from the day gently and effectively. It leaves your skin soft, smooth, and clean without drying out your skin and while staying bubble free. This cleanser is free from parabens, artificial dyes, mineral oil, and sulfates. Directions: Use this as the first step in your skincare routine in the morning. This cleanser may be used as a second step cleanser after oil cleansing at night or as a both first and second step cleanse! Wet hands or apply the cleanser to your dry face, then pump cleanser into hands. Gently massage dirt and grim off skin and rinse away with water. Description: The Awell 5.5 Cleanser comes in a white pump-top bottle, that arrives shrink-wrapped to prevent leakage. The cleanser itself has a light cloudy color to it, and has a light fresh scent. The cleanser is thicker than water but still runny. 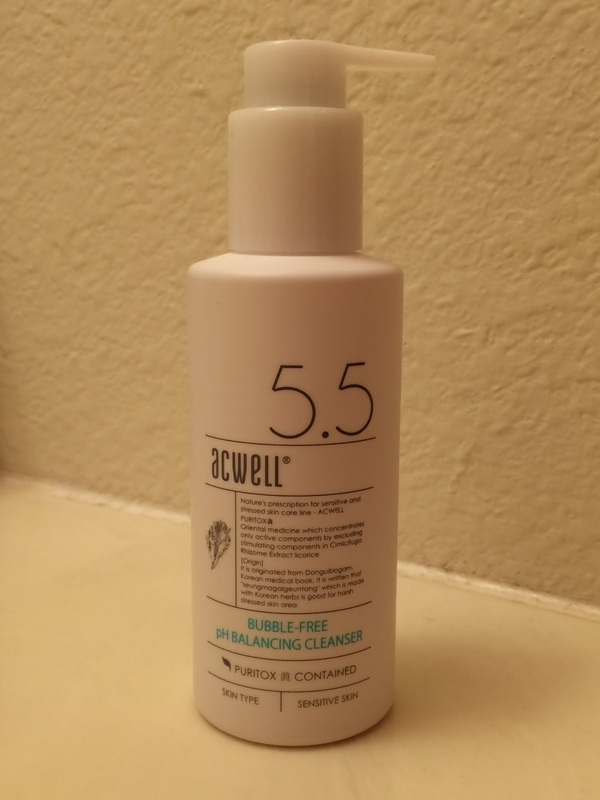 Performance: I've tested the Acwell 5.5 Cleanser as both a first and second cleanser, and am happy with it's performance all around. 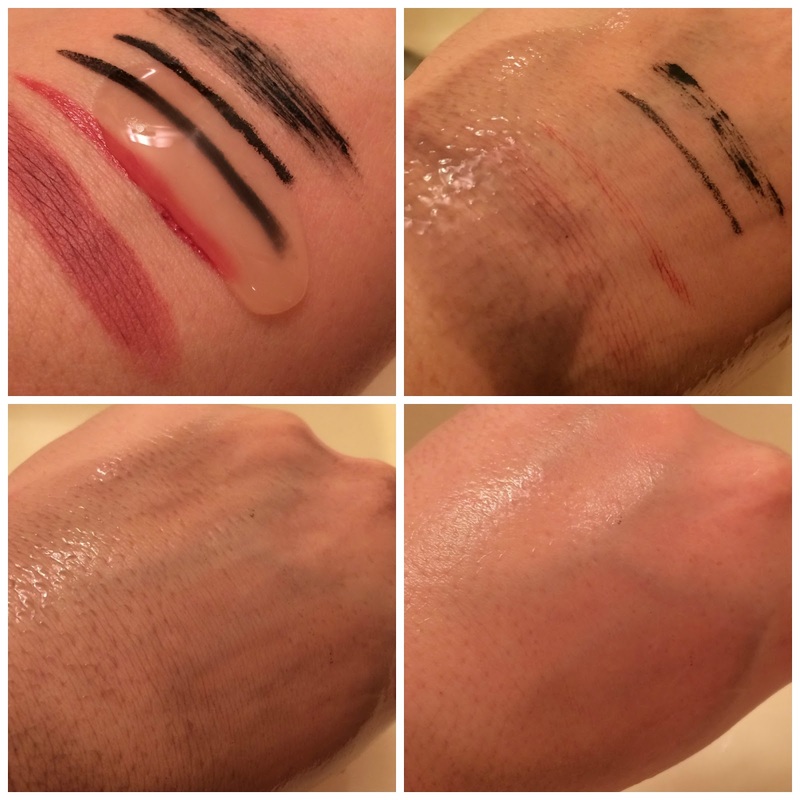 It removes lip and eye makeup easily, with just gentle massaging needed to loosen up and remove everything well enough to be rinsed away with water. I love how well this cleanser can clean away without drying soapy foam, or mineral oil (which I know many people have aversions too because of clogged pores). When used as a second cleanser, this liquidy gel really gets down into pores, and loosens up clogs (aka. grits) like nobody's business. Verdict: This is an amazingly gentle yet effective cleanser that works as both a first and/or second cleanser. The only minor complaint I have is that is does contain alcohol, and if my skin is feeling sensitive it will burn a bit when I first apply this cleanser - but because I have not experienced break-outs because of it, and I don't use this cleanser daily, it is not an issue for me because of how well it works. I just know not to use it if I have any other skin issues going on.